Both ranked inside the world’s top 30, the opener between Andrea Petkovic and Madison Keys is a brutal draw befitting of the quality of first round matches in Rome. Last week in Madrid, Petkovic faced off in the first round against the Rabat champion, Timea Bacsinszky. While she put up an admirable fight, especially having been in tears in during a medical time-out in the first set for the troublesome knee, she knuckled down to win the second set before just coming up short in the end. Bacsinszky won, 6-4 2-6 6-3. 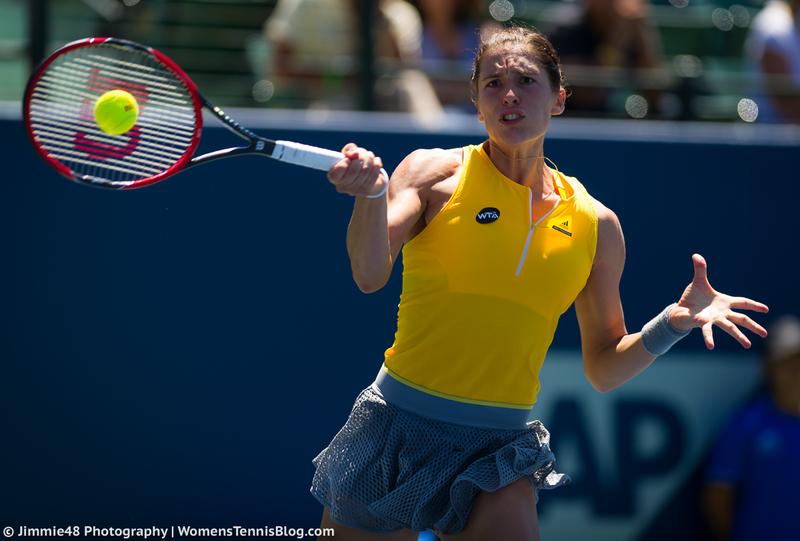 Petkovic has since been pictured practising in Rome and appears to be ready for the tournament. Keys reached the last 16 in Madrid, eventually losing out to Patricia Maria Tig, 3-6 4-6. It was a surprising loss because Keys has handled these types of matches well before where her draw has opened up (Miami 2016, Wimbledon 2015 and Charleston 2015). While Tig did play an excellent match, producing a couple of sensational winners in the final two games, it was an error-strewn display from Keys who wilted away in a final game with a couple back-of-the-fence errors from the American. Keys never seems to fully commit to the clay based on her comments in press and will be seeking to go past the second round in Rome for the first time in her career. Head-to-head record: In their only previous match back in 2014, Petkovic defeated Keys, 6-2 6-3 in Beijing. Interesting Stat: Since Dubai in February, Petkovic has had some rough early match-ups meeting the likes of Camila Giorgi, Ekaterina Makarova, Barbora Strycova, Caroline Garcia, Timea Bacsinszky and now Madison Keys in Rome. May 8, 2016 in Keys, Petkovic, Rome, WTA.